There are a lot of advantages to hiring a professional removals company to assist your with your move from London to Geneva. While moving within your own country can be difficult, moving out of your country is much, much harder. Therefore, in order to avoid getting stressed out, it would be wise of you to enlist moving help. This way, you will cut down on stress, save energy and save time. Plus, you will save money. While this may be hard to believe, it is nevertheless very true. You might just be asking yourself the question, ‘How will I save money?’ You’ll save money because you won’t have to risk getting your belongings damaged during transit, and you also will not have to risk everything going wrong which will, of course, cost you money. Moving internationally can be a lot of hard work and it can be a challenge making it easy and smooth. However, we are determined to help you to make it smooth. For more information on our removal services, please call our office now on 020 8746 4402 and we’ll answer any questions you have. Switzerland’s second most highly populated city is Geneva, a global city and primarily a financial centre. This bustling, vibrant city offers a great amount to tourists and inhabitants, what with its fascinating landmarks and other places of interest. Places to see in Geneva include Jet D’eau, Ile Rousseau, Monument Brunswick, Old Town, Place Neuve, Cathedral st-pierre, carouge, and Eaux-Vives. There are also a great number of theatres and galleries in this city that are well worth viewing if you have a passion for art and theatre. The city also boasts many parks that are incredibly beautiful. So if you fancy time away from the bustling centre of the city, visit one of Geneva’s stunning parks and you’ll find peace. Overall, there is so much to see in this wonderful city – you certainly won’t be bored, that’s for sure. We at Moving Service fully understand the frustrations of moving, both domestically and internationally. However, in your case, you are moving internationally and in our opinion, that is by far the most challenging and the most chaotic. However, you do not have to worry any longer about your situation because we can help you. Thanks to our brilliant team of movers, who are dedicated to making your move easy and smooth, we can guarantee that you’ll be impressed with our removals service. 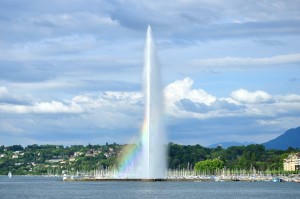 We can move you from London to Geneva in next to no time and we’ll make it as simple and straightforward as possible. However, we do not just offer home removals; we offer a range of other removal services too including packing and boxing, man and van, storage, home removals and commercial removals. Our list of services is simply endless. We offer it all – and at prices everyone can easily afford. We won’t break your bank balance, that’s for sure. How Do You Benefit From Hiring Us? The benefits you will gain from hiring us are endless. You will be able to save time, energy, money and stress. What more could you ask for? So basically, if you have a full-time job that’s taking up a lot of your time, do not let it get you down any longer because we are your solution. We can help you with your Geneva removals. To find out more about services or about the benefits you will gain from using us, call now on 020 8746 4402. You certainly won’t regret it. You will also be given a free moving quote!! !